Mitsuru is beautiful, graceful and admired by many people, but she has a weird problem—a single, violent movement against her can get her begging sweetly for more! Her nickname M, also stands for masochistic. Natsuhiko, is a guy who found out Mitsuru's secret on their first day of senior high school. Even so, he has an equally bad problem—the mere glimpse of his reflection can send him into a flying fit about how beautiful he is! He is nicknamed as N for narcissistic. They both hope to minimize their chances of being exposed because of their weird behaviours. 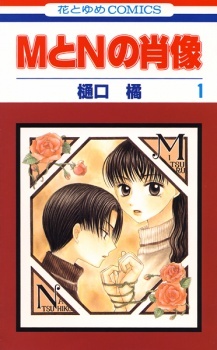 M to N no Shouzou was partially published in English as Portrait of M and N by Tokyopop, who published four volumes from February 9, 2010 to February 1, 2011.